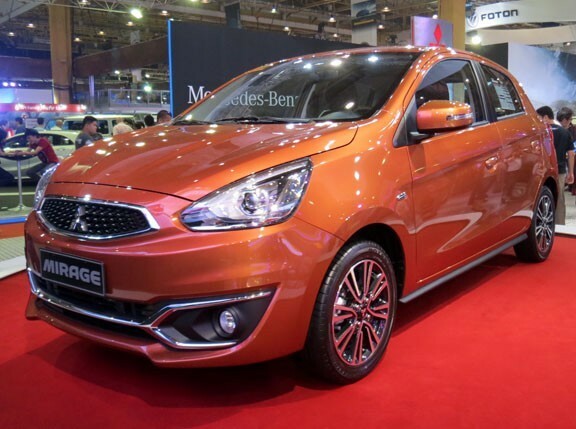 The Mitsubishi Mirage has taken the market by storm, and it's not hard to see why. 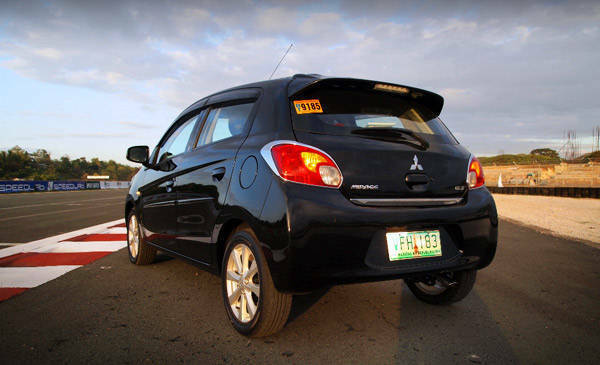 As pointed out in our Budget Issue, the base Mirage is a lot of car for under P500,000. 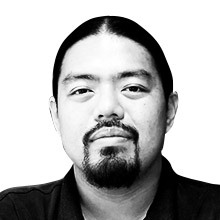 But is there any reason for buyers to pay an extra P90,000 for the higher-end GLS variant? Let's find out. 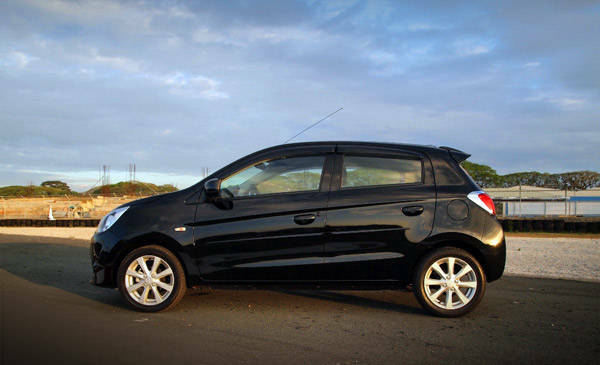 The Mirage isn't the most stylish supermini out there, but it is a handsome little thing when dressed up like this. While it looks slightly dumpy on the small, hubcapped wheels on the GLX, the larger 15-inch alloy wheels on this variant make it look tighter and sportier. The swept-back rear spoiler complements the body lines well and is more aerodynamic than the optional spoiler for the base variant. This helps the GLS achieve a lower coefficient of drag, around 0.29 or thereabouts. Other accessories like the chrome garnishes and window visors are optional, but the car looks good with or without them. 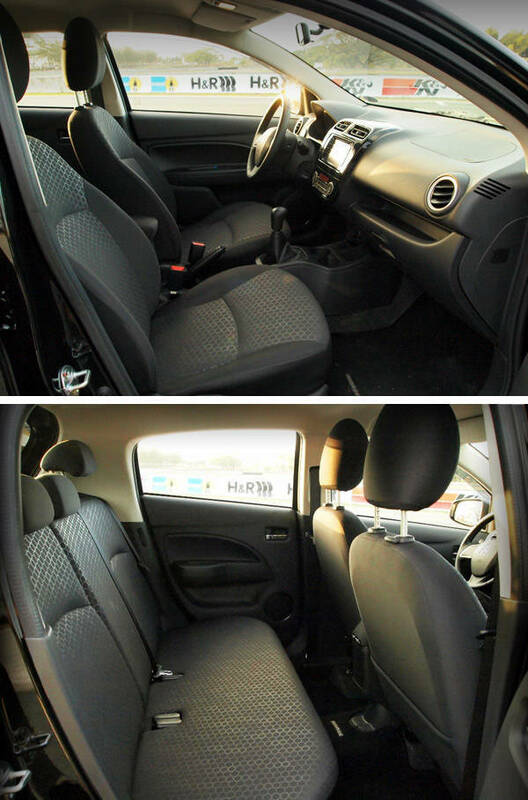 The top-end Mirage interior is wash-and-wear functional, but the snazzier seats and integrated middle-passenger shoulder belt in the rear lend it a more upscale feel than the base variant. Power windows all around and more comprehensive driver controls also signify a big step up versus the poverty-spec Mirage. 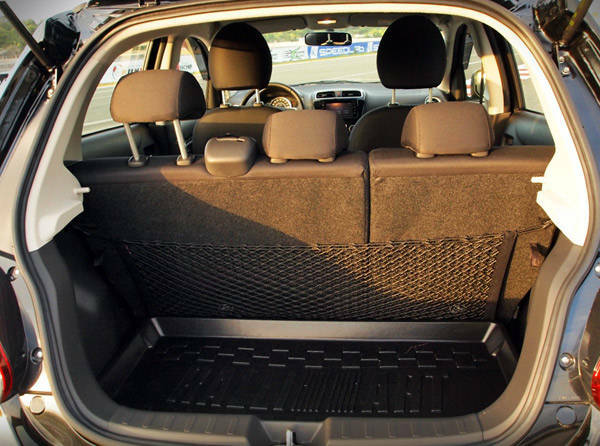 While not as tall as other superminis, the class-leading wheelbase and legroom give the Mirage a more comfortable and relaxed seating position than any other car in this class. The trunk is likewise best-in-class at 245L. That may not sound like much, but nothing else in this price range comes close. The Mirage's three-cylinder MIVEC motor doesn't make as much power as some of the competition, but the car's light weight and exceptional aerodynamics more than make up for this. These allow the Mirage to hit 24-26km/L on the highway. Even at 100kph or more, economy is still well over 18km/L. 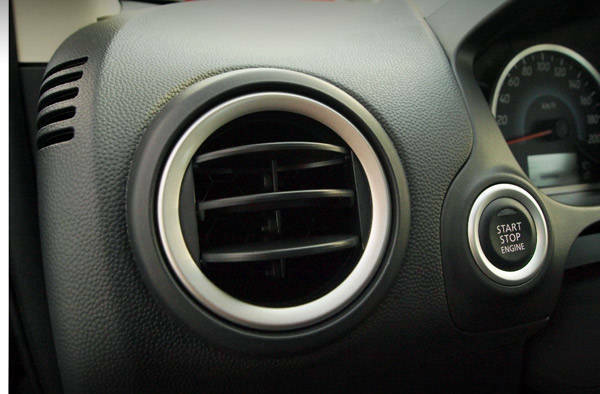 In traffic, 12km/L is possible; as the Mirage is light, you can start off in second gear. The shift mechanism on our manual test unit is light and sweet, if a bit vague. The motor revs willingly and sounds great, and secondary cam lobes on the intake side kick in at 4,500rpm to give it a little extra overtaking punch. In our Big Test comparo featuring the Mirage GLX, we noted a soft suspension and excessive body roll. The GLS's standard antiroll bar and meatier 175/55 R15 Bridgestone Potenza tires increase the Mirage's handling envelope considerably. 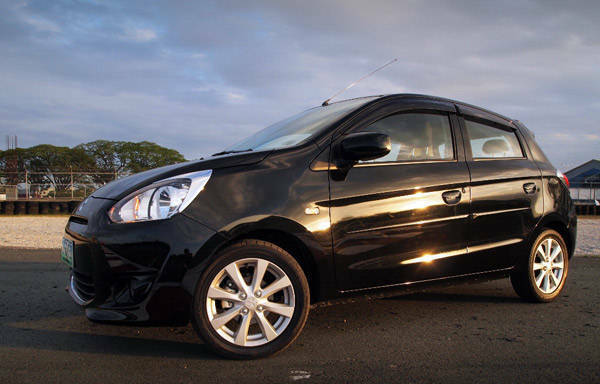 It's still soft compared to the likes of the athletic Hyundai i10, but the light and sweet steering lends the Mirage a sparklingly playful character. It's quiet at speed, and the low roof makes it less sensitive to crosswinds than other superminis. And as the Mirage is still a very small car, it is ridiculously easy to thread through traffic and park in tight spaces. Keyless entry, central locking and a push-button starter are all major upgrades from the basic Mirage. Also present are an AVT-sourced nav-equipped touchscreen and a full six speakers versus the two in the GLX. More important, the Mirage GLS gets twin airbags and ABS. The availability of ABS gives the Mirage stronger and more confident braking performance than any of its main competitors--especially in the wet. 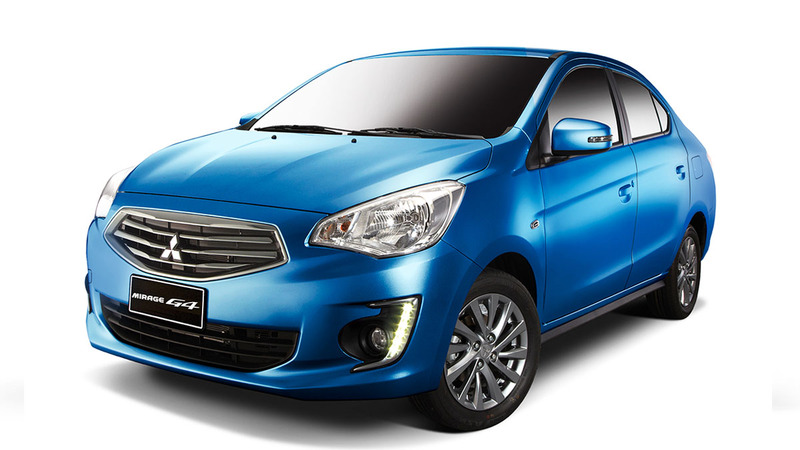 Even better, the Mirage is the only supermini on the market with a proven five-star crash performance. There are bigger cars that aren't anywhere near this safe. The added P90,000 represents a huge price premium over the Mirage GLX, but the high level of equipment, cosmetic enhancements, as well as safety and chassis upgrades are a convincing argument in favor of the GLS. Nothing in this class is remotely as well-loaded or practical at this price. Of course, one class up is the Kia Rio 1.2 MT, which costs a mere P10,000 more. That's a bigger, more refined and more powerful car. But it is bare as bare can be, and lacks ABS. For the single person or young couple on a budget, the Mirage is still the sweetest deal in town.